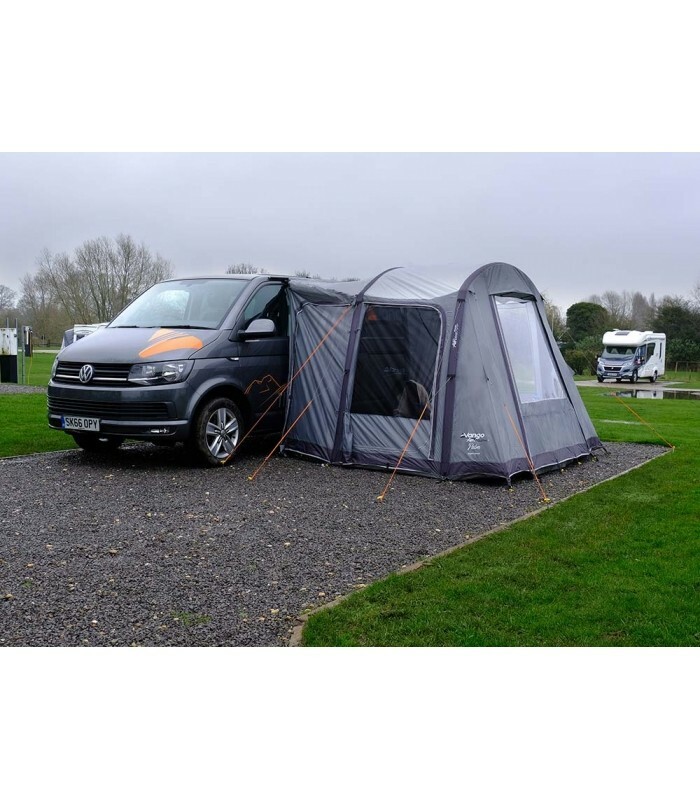 Introducing the Palm Air drive away awning from Vango, a quick and convenient way to create extra space to your campervan holiday! Whether you’re a couple that needs room for surfboards or bikes or a family that needs extra sleeping space for your children, the Palm Air is the perfect choice. 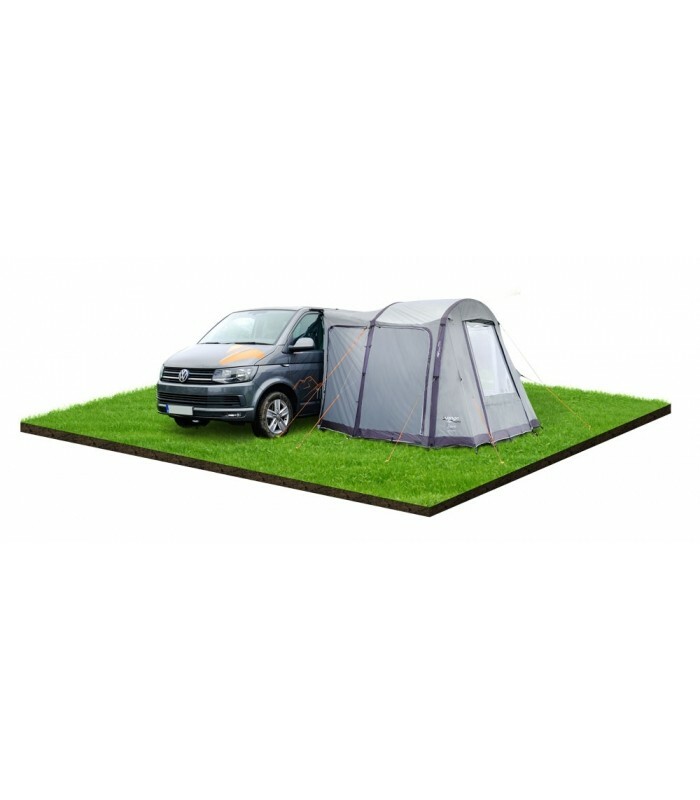 The Palm Air Low awning has been designed to fit smaller camper vans and motor homes with a height of 180cm to 210cm, making it ideal for smaller vehicles such as the Volkswagen T5. The Palm Air Low is quick and easy to set up, with just two air beams to inflate; the pitching time is just 8 minutes! 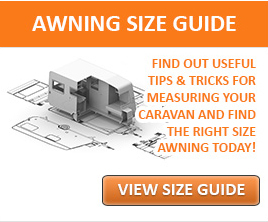 The pre-curved beams are strong and rigid once inflated and help to increase headroom inside the awning maximising the useable space. 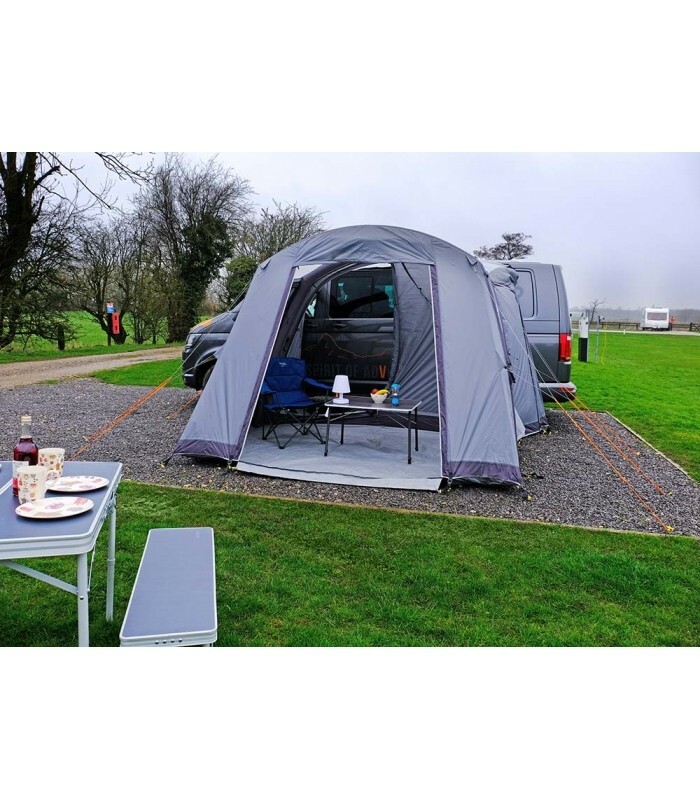 Vango incorporates their Tension Band System into the Palm Low awning, adding extra stability by creating a tough triangular frame within the awning. The high visibility guylines can be used for extra security and help to prevent tripping hazards. 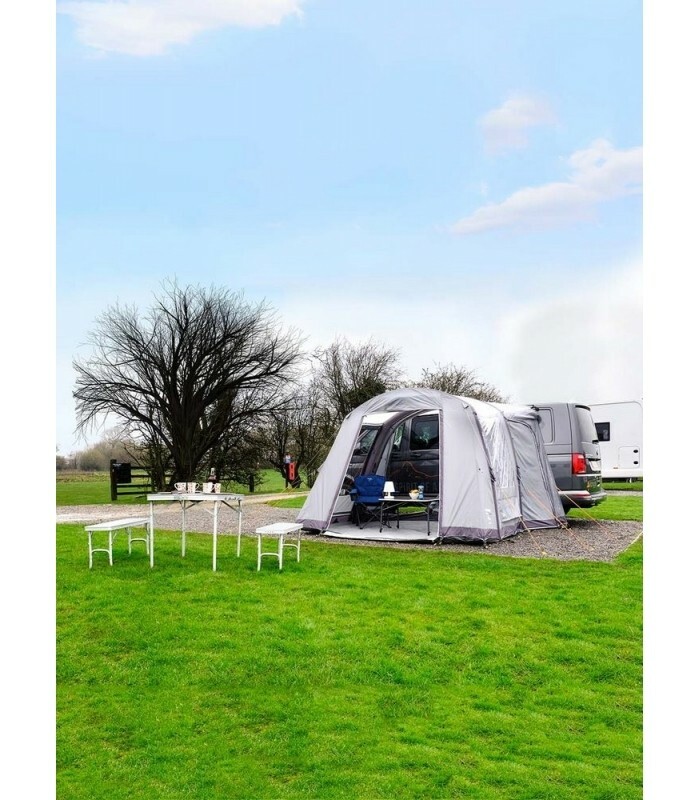 The Palm Low inflatable awning has been created using Vango’s Sentinel Active material; a strong yet lightweight fabric which combined with the fully taped seams provides protection against water ingress. 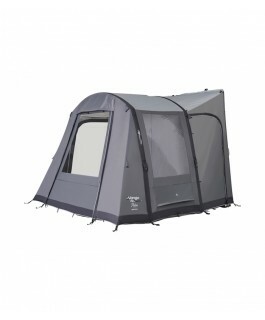 It also features Vango’s AirZone Ventilation, consisting of high and low level ventilation panels which create a comfortable flow of air throughout the awning, helping to reduce condensation. 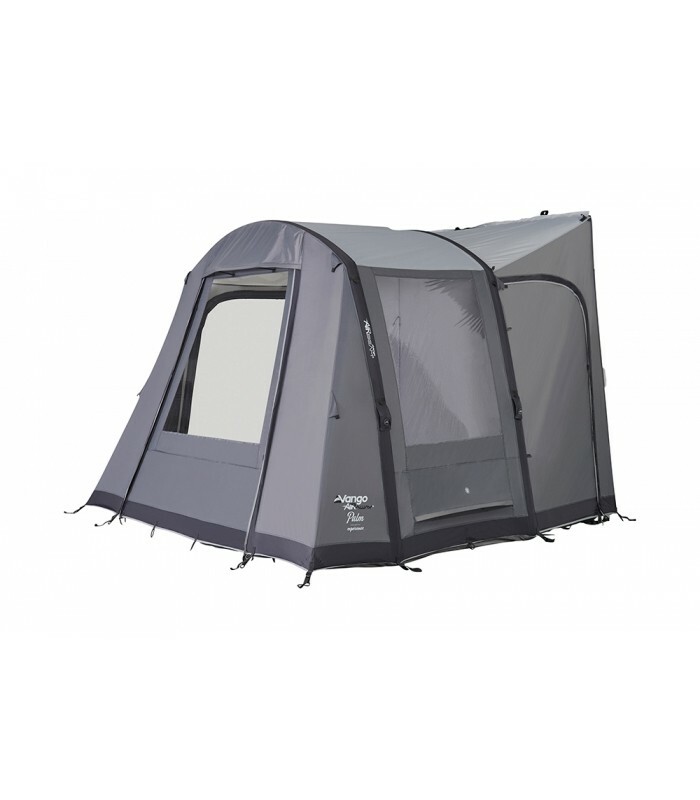 The Palm Air Low awning features a front mesh door and a flat entry groundsheet for easy access into the awning. There are also two doors in the connecting tunnel meaning you can access your vehicle without walking through the awning and disturbing any sleeping guests.